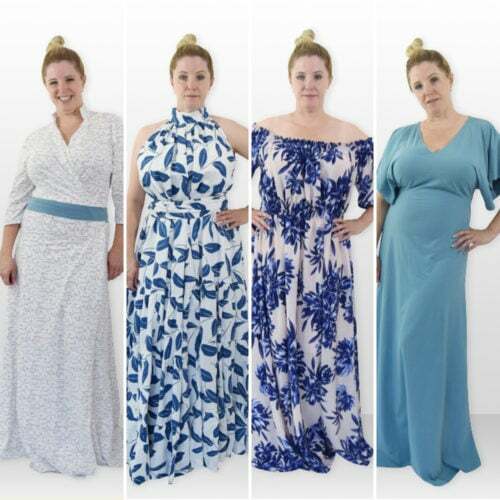 This bundle of sewing patterns includes ladies XXS to 5XL, and girls newborn to 12 years sizing. 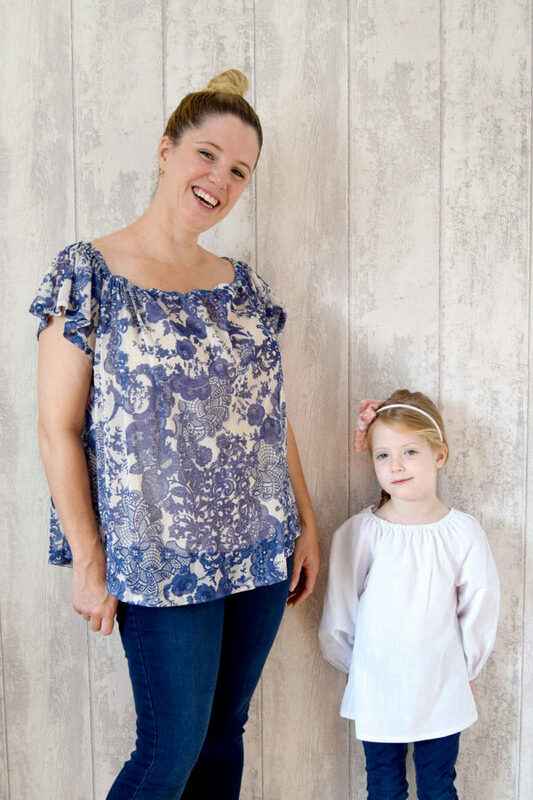 Olivia, the ladies and girls’ peasant top sewing pattern, is a simple, but beautifully lovely sew. 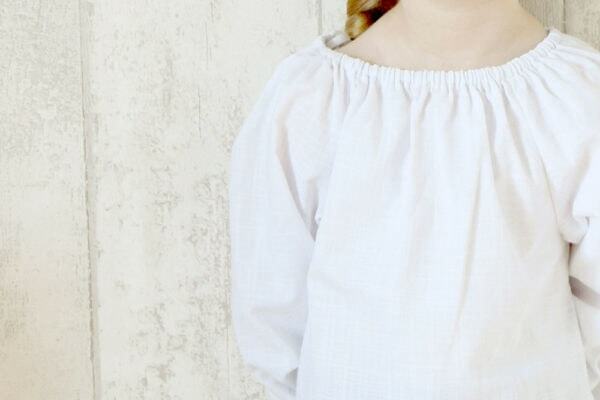 Drafted with a gathered boat neck that sits between off-the-shoulder and a regular neckline, Olivia is a traditional pillowcase-style top and is comfy, loose-fitting, and floaty around the body. 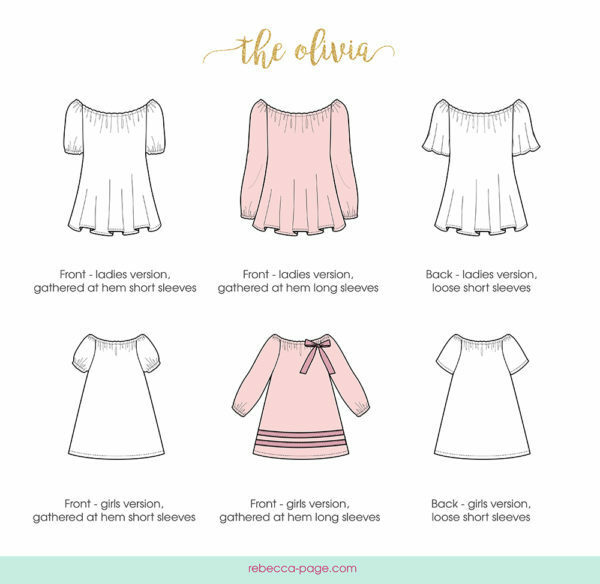 Your fabric and sleeve options can take Olivia from a cool summer top to a transitional piece for spring and fall, and even a winter warmer. 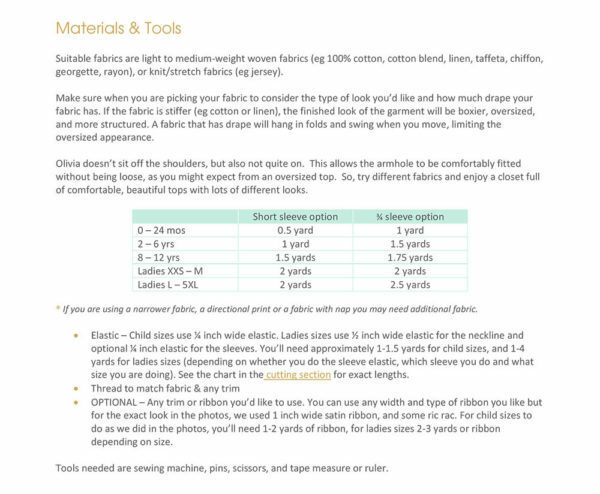 Sizes – Bundle includes girls’ newborn to 12 years and ladies XXS to 5XL patterns. See the size chart in the gallery above. I’m really delighted with the Olivia! It’s a simple peasant top that is super comfortable to wear and I’ve been hunting for a top like this for my wardrobe. The French seams (including the sleeves!) are a beautiful professional finish and the directions are very easy to follow. The elastic gathers look sweet, especially on the sleeves, and I think it would look so pretty in some embroidered fabric. This is a great garment for showing off some very drapey woven and I’m happily wearing my new airy top in hot weather. This top is really adorable! 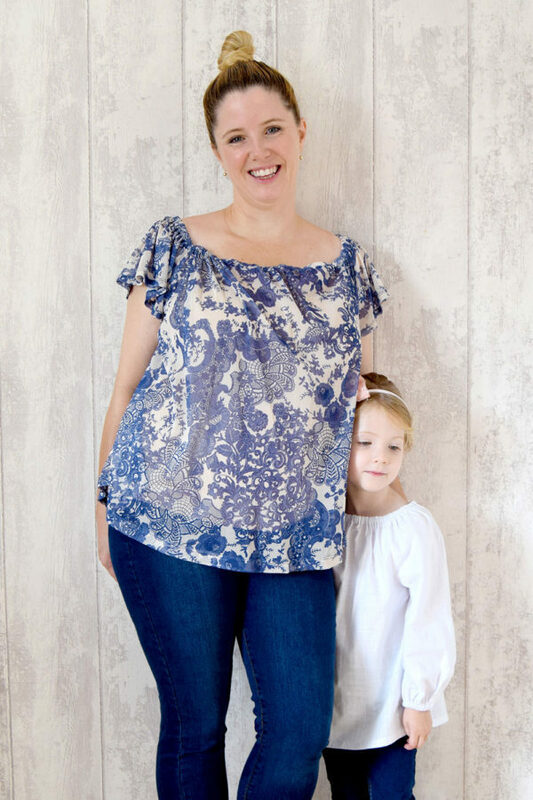 I love the versatility of this top; it’s perfect for all seasons and all occasions. And such an easy sew. Love it!!! I enjoyed sewing up the Olivia! It was so easy and quick to make. Many more will be in my wardrobe. Such a sweet, timeless pattern with great instructions. I love that following the hidden seam instructions, the item looks as beautiful inside as out! 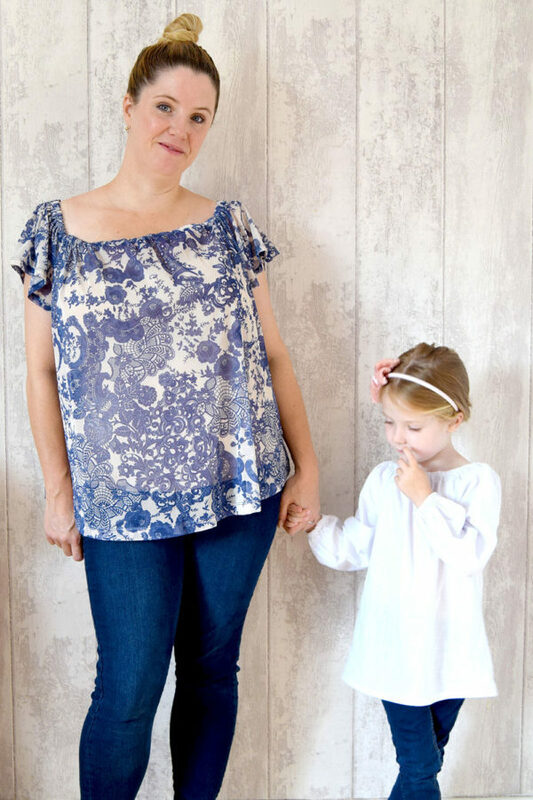 I sewed up 2 new Olivias along with bloomer shorts (using the bottom half of the Teatime romper pattern) as pyjama sets for summer and they are perfect being cool and comfortable. 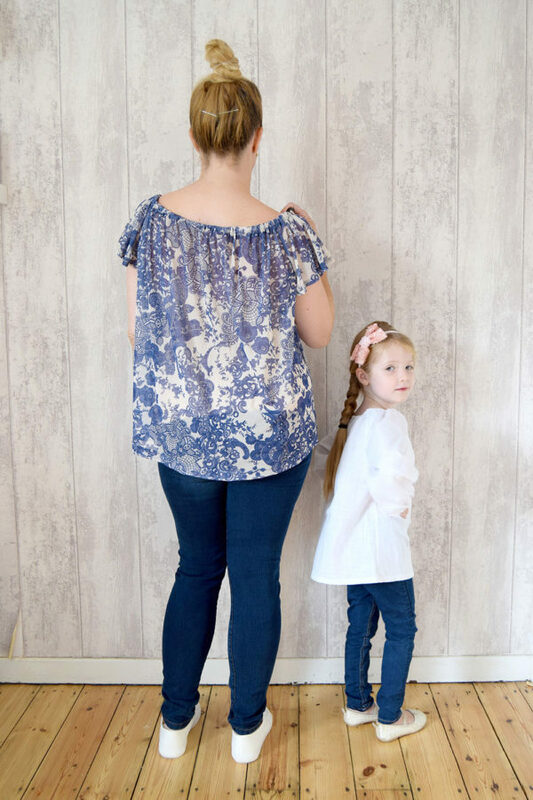 I am loving the Olivia pattern so much, I have sewn myself up 3 in a few weeks! My daughter also has a few and loves that we can match together. A lovely simple sew with great instructions. Anyone could do it! 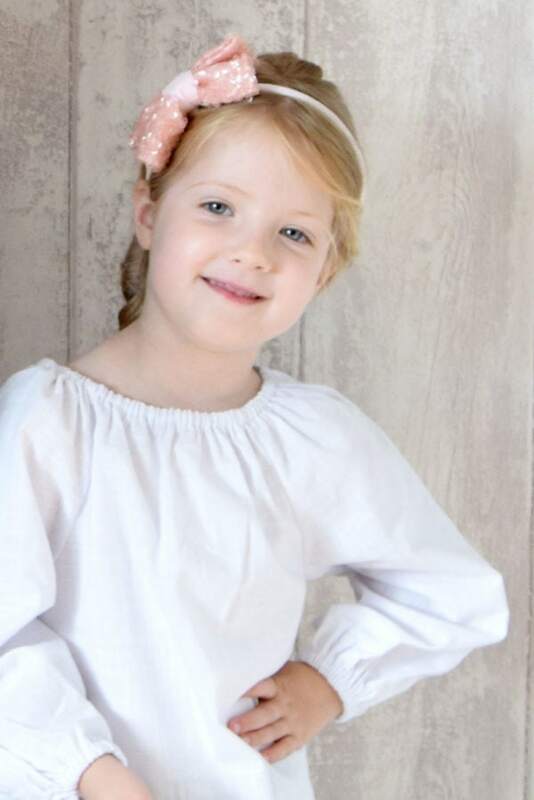 It is so great that it can be done in a knit (stretch) or woven (non-stretch) fabrics! I needed a top for a photo session with my daughter and pumpkins. Couldn’t find anything suitable in her wardrobe. I looked through my stash and found some double gaze in a color which is definitely not my favorite. I loved how it turned out. 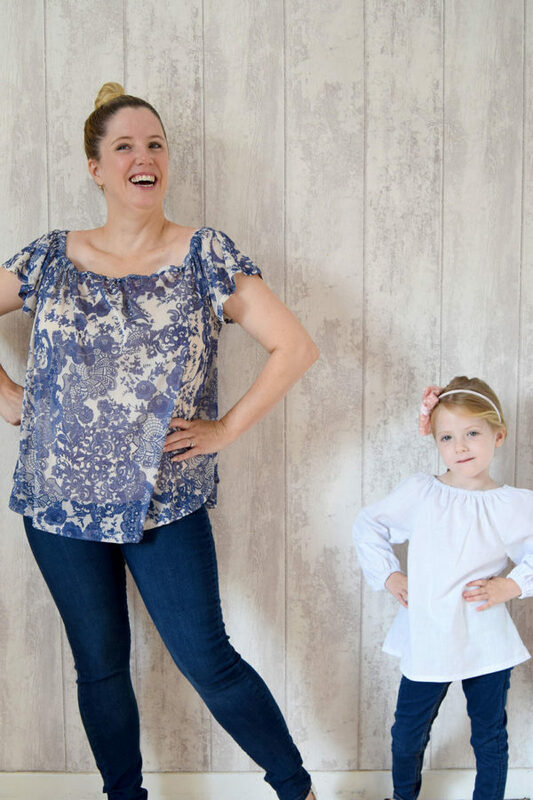 The Olivia is a really quick sew! I took about an hour to complete it! Definitely doing some more in the future! 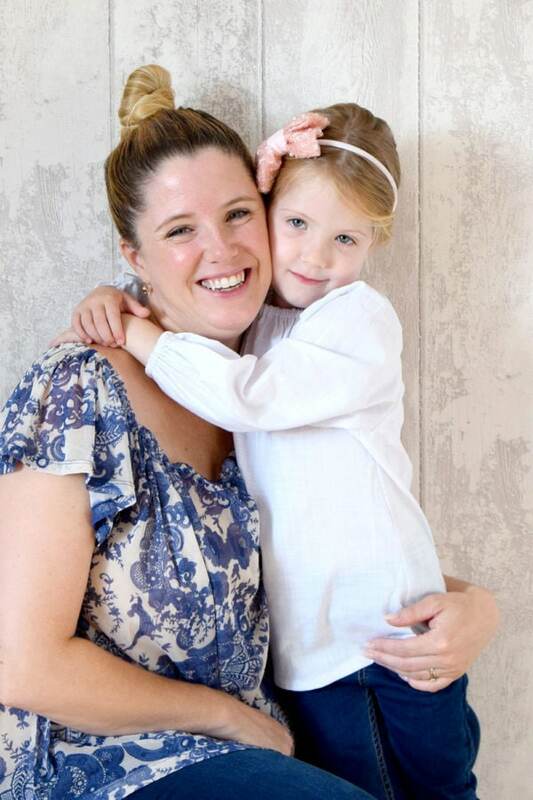 The Olivia is a simple pattern that makes such an elegant shirt. I found the pattern very easy to follow and made my shirt quickly. 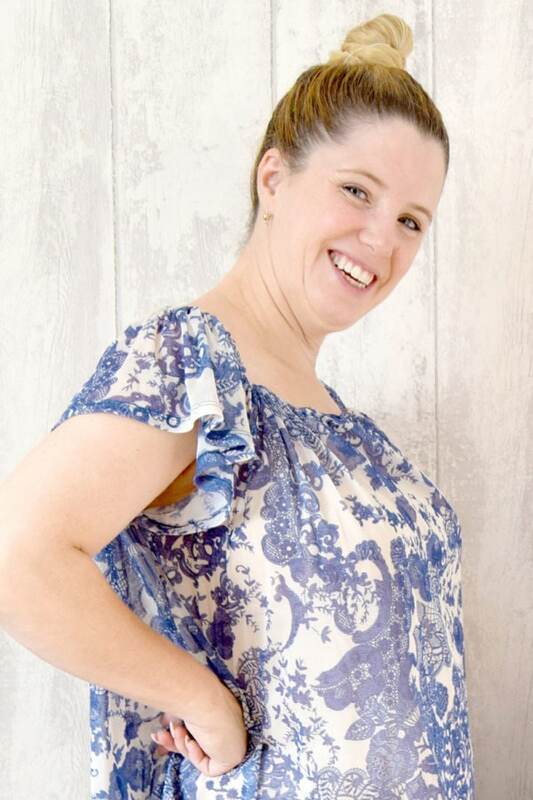 It also is a very comfortable pattern it’s loose fitting and hangs on the body in a flattering way.